I have to admit I’m not a fan of “on the cusp” maybe my opinion will change over time but for now I feel like pick a side, pick a sign. I do however like the concept of the decans, it explains why along with other factors that for instance all Gemini’s are not alike. 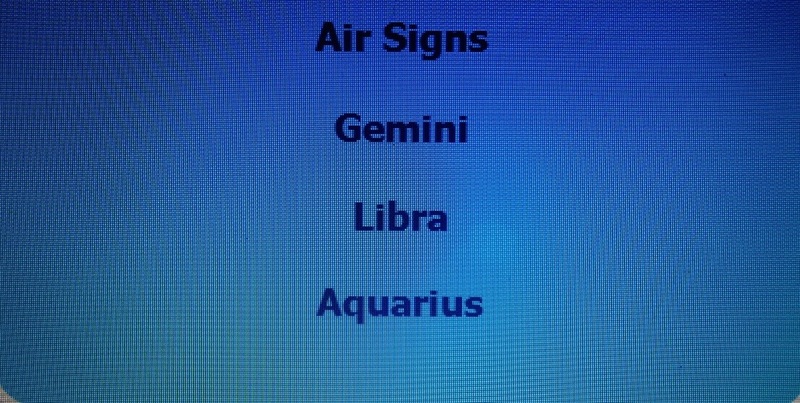 Astrological signs are made up of 30 degrees. The first 0-9 degrees are very true to the sign, while the next 10 degrees will not only possess the qualities of that sign but also the following sign in the same element and the remaining 10 degrees will encompass the qualities of the last sign in the same element. For example if your Sun is in 0-9 degrees of Cancer , born anywhere from June 22-July 2nd you are a true Cancerian ruled by the moon; home based, you probably bake cookies and long to collect antiques and trinkets from the past. If you are born in the degrees of Cancer up until 20 degrees, dates July 3rd to July 12th that is the 2nd decan of Cancer ruled by Pluto (Scorpio proceeds Cancer). The 2nd decan of Cancer has an uncanny strength and will power.The head ALWAYS over ruling the heart unlike other Cancers. They enjoy digging beneath the surface; they may have an aura of secrecy. That last decan of Cancers born on July 13-July 23rd are ruled by Pisces (the last water sign) and the planet Neptune. This indicates a romantic nature that may be somewhat out of touch with reality. Remember Pisces are symbolized by 2 fish swimming in circles. Compassionate, kind and an interest in unusual places and people sets you apart from the other Cancers. Which Decan were you born in?